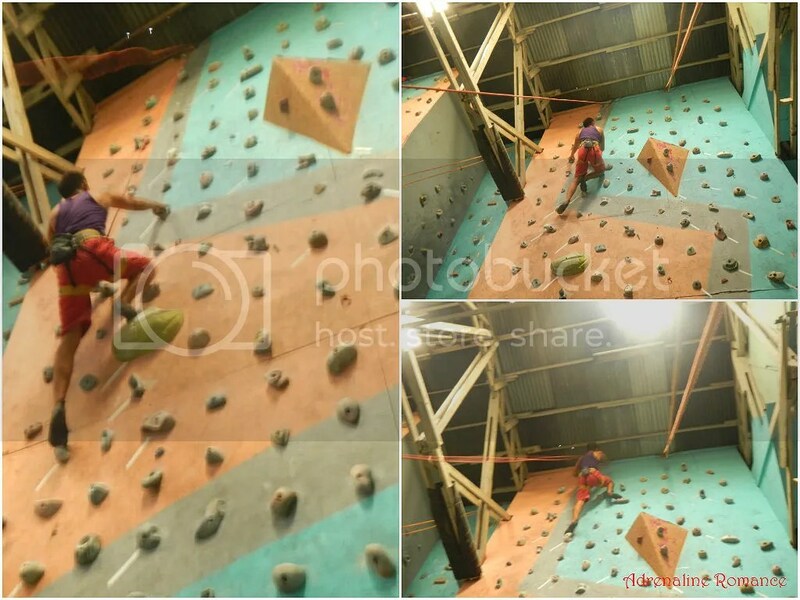 Wall climbing and rock climbing are exciting, adrenaline-pumping activities that are, sadly, just faint blips in Philippine sports. In fact, there are only a handful of artificial walls in the country much less outdoor crags and bouldering areas. There is almost no government support in promoting the sport or developing climbing areas, and even the private sector gives wall climbing and rock climbing a cursory glance. Yet, out of the efforts of the Philippines’ small but dedicated climbing community, we have produced professional, world-class climbers who have became medalists and champions in prestigious international climbing competitions—champions that brought honor and pride to our nation. 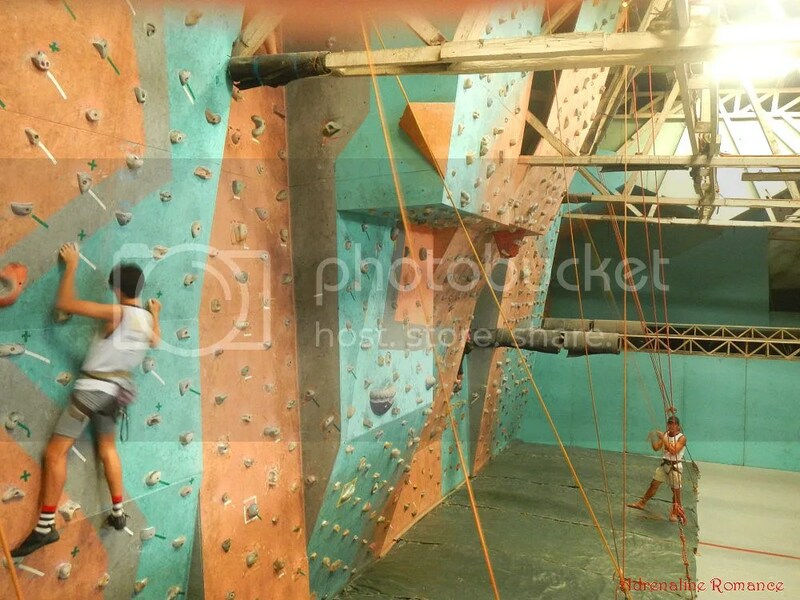 And many of these climbers started off in humble climbing gyms like Power Up Center for Climbing and Fitness in Tandang Sora, Quezon City, one of the first climbing facilities in the country. After spending two hours in the Museo Pambata, we went straight to the Manila LRT (Light Rail Transit) station at United Nations Avenue to catch a ride. Sweetie, Alexa, and I were quite giddy with excitement during this particular episode of our adventure. You see, we’ve never rode a fast, modern rail system in our lives, and we’d like to experience how it is like to be whisked away at a constant 60 kilometers per hour. Here comes the train! An LRT system (or any modern mass transportation system) in Cebu City would definitely be very useful in decongesting the traffic in our main thoroughfares. It can also carry more passengers than dilapidated jeepneys and can transport them over long distances within a short amount of time. 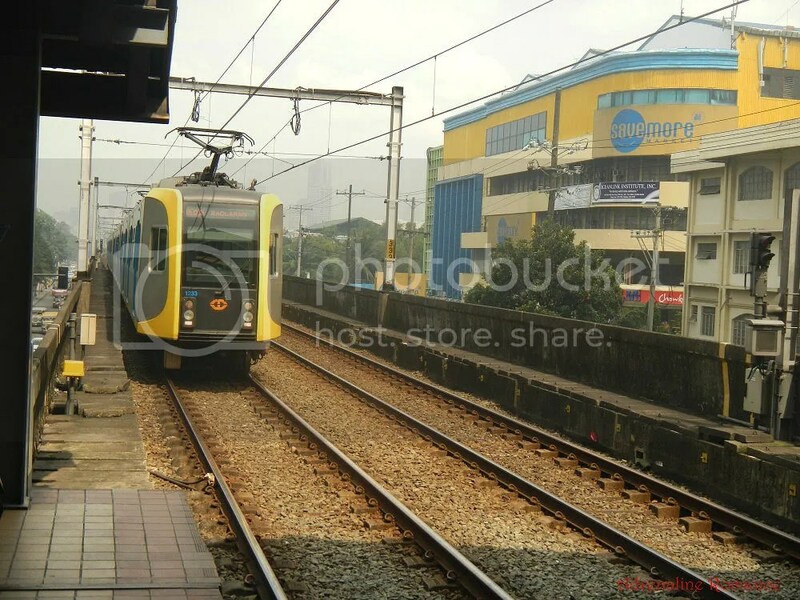 Finally, considering it runs on electricity, an LRT has less carbon footprint than fleets of jeepneys. Cebu deserves to have an LRT, or a BRT (Bus Rapid Transit, a mass transportation system that utilizes buses instead of trains. The buses drive along a dedicated lane). But our country’s ugly politics, particularly the rift between the national government and the local government unit, creates an almost unsolvable barrier to implementing such a system. 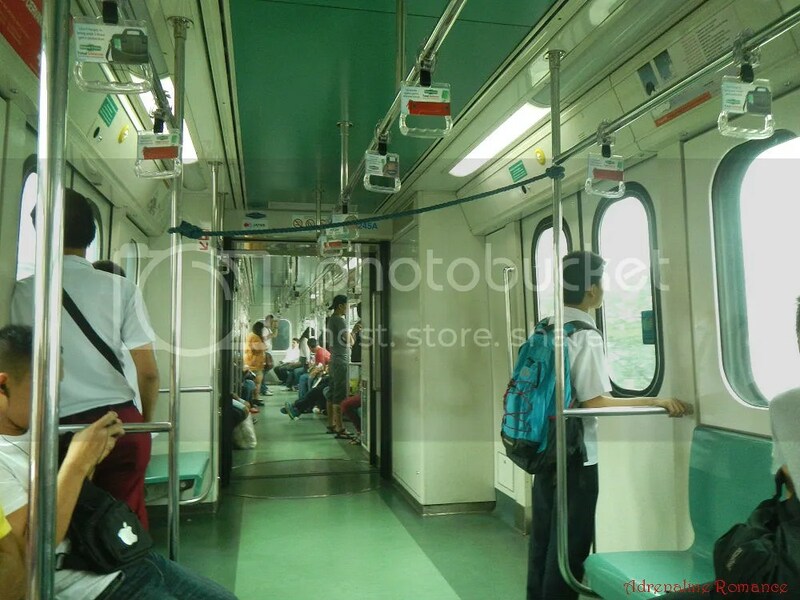 Ah, so this is what’s inside an LRT car. It is clean, air-conditioned and comfortable. After experiencing the comfort, safety and efficiency of time on riding the LRT, we became more convinced that jeepneys, especially those that are driven by maniacal drivers, should be totally banned from traveling along main thoroughfares. 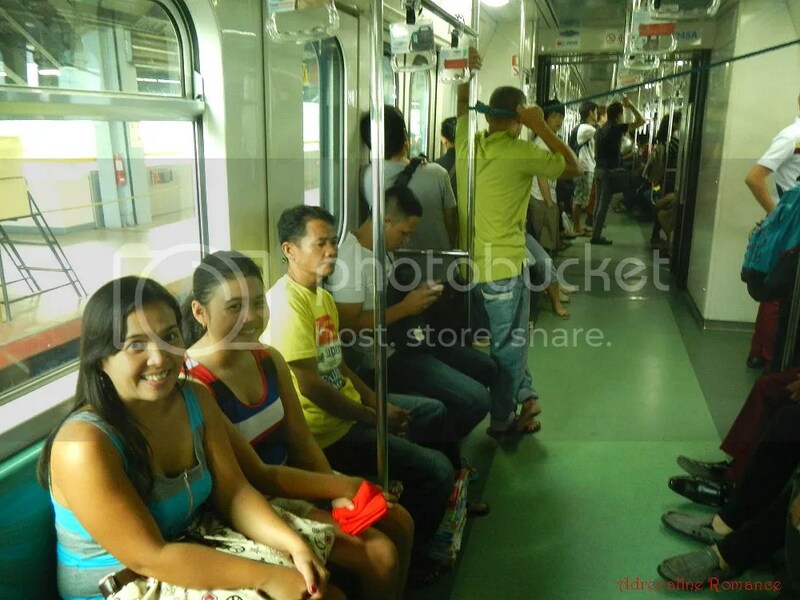 The LRT has enough room for hundreds of passengers at any one time. With all cars running, the LRT can transport around 470,000 to 600,000 people in a day! In just 15 minutes, we disembarked at the Baclaran station and stopped by the Baclaran market to purchase some cheap clothes. Then we rode a bus at the market’s bus terminal to Tandang Sora, Quezon City. After an almost two-hour ride (yes, Manila’s traffic is that horrendous), we reached Tandang Sora where we had a simple but sumptuous lunch. After lunch, we set off to find the climbing gym. Well, it wasn’t difficult to find it all. 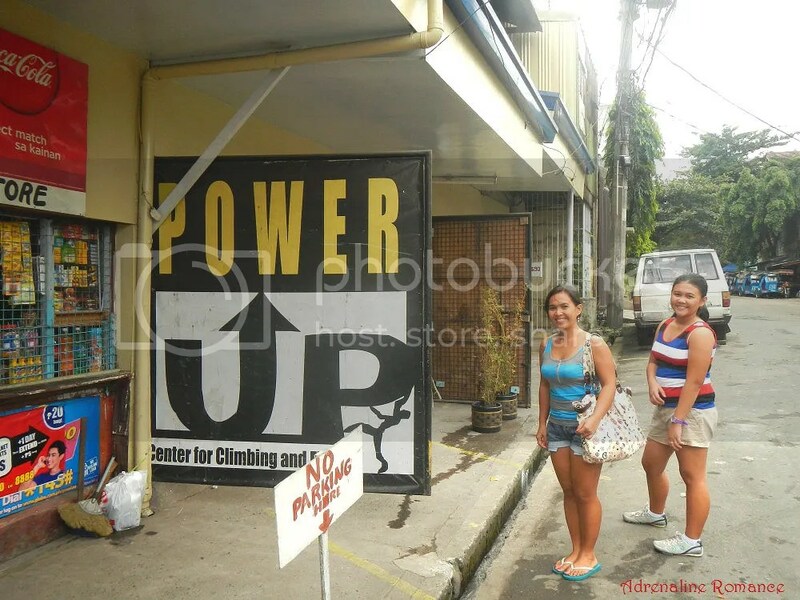 Power Up Tandang Sora Climbing Gym was just a five-minute walk away from where we had lunch. Before anything else, we sincerely apologize for some of the blurry photos. We were in action as the photos were taken, and the interior of the gym was a bit dim. Unfortunately, we arrived at the gym a full hour before opening time. We tried to ask the attendant if we could climb by ourselves. Anyway, a top rope system was already set up, and we know how to belay each other. Nope, we need to wait for the instructor who will arrive in an hour. Thus, we took the time to check out the gym. 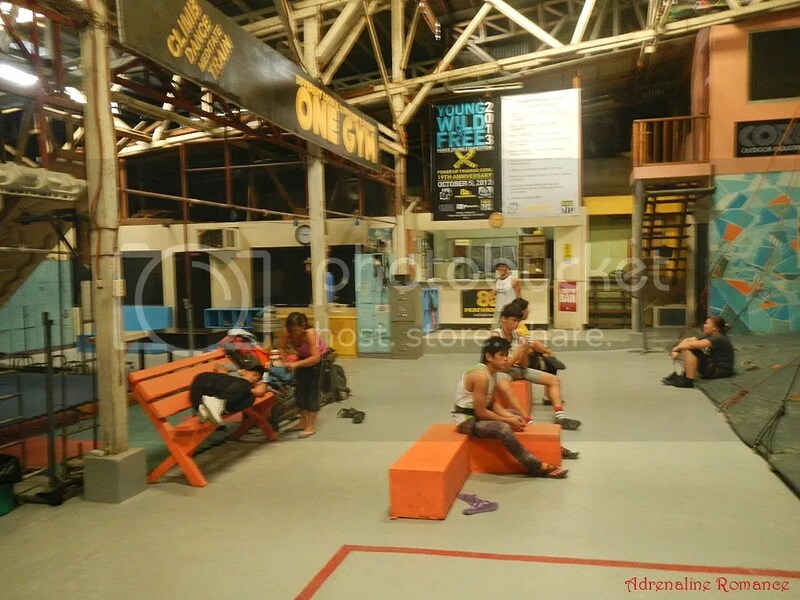 That’s the counter and office, which offers personnel an encompassing view of the entire gym. A couple of shelves are placed nearby where climbers can put their shoes, bags, and other personal belongings. 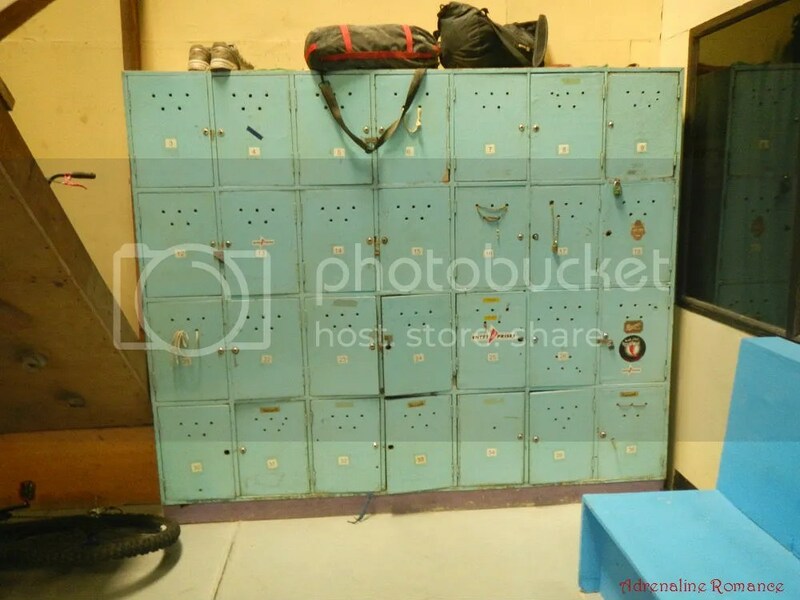 Lockers are available for rent at a minimal price. If you want to climb here every day, then it’s best to get a locker so you won’t have to haul your climbing gear when you go home after every training session. This banner says it all. Climbers may have different genders, ages, professions, nationalities, beliefs, cultures, etc. But in a climbing gym, all of them are eyeing on one goal: to reach the anchor. Although done in a controlled environment, indoor climbing can be dangerous. Indeed, a momentary lapse of concentration can injure someone. Thus, be sure to take into heart the standard climbing safety procedures and climbing commands. Also, check out for banners that announce special events that you may be interested in joining. Another safety technique that you need to master as a climber is spotting. 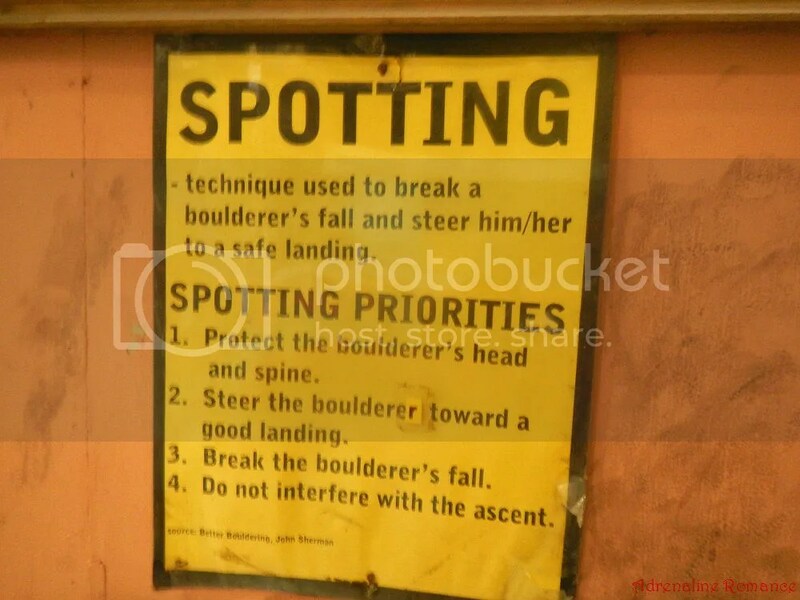 Proper spotting prevents a climber from incurring injuries if he or she falls at start or a couple of feet up a route or problem (the term used to denote a “route” when bouldering). 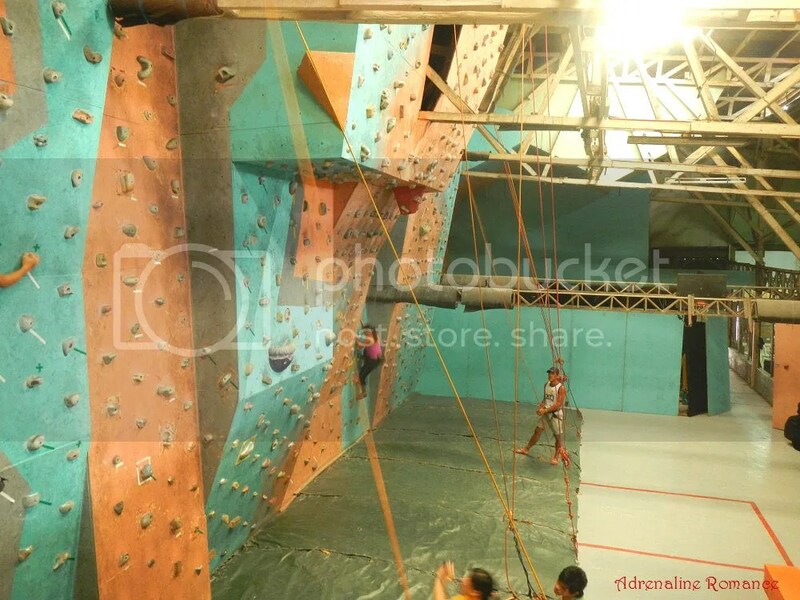 One of the nicest things about Power Up in Tandang Sora is that they have an assortment of training equipment designed to improve climbing performance. For example, they have a campus board (the inclined wooden panel with slats), which is used to develop upper body strength. They also have a training board to improve finger strength. Not shown in the photo below are a couple of barbells, dumbbells, a lat machine, and other weight-training equipment. These cute kids were cleaning the gym mats when we arrived. Upon seeing us change into our climbing attire, they immediately beamed and headed to the main climbing wall to show their skills. And when we tell you that they have skills, we’re talking about really good climbing skills! These children, we learned, have joined and won several climbing competitions! In fact, they’re way better than we are! Wow! It’s really great to see children exhibiting a passion and showing great interest in sports. Engaging in an active lifestyle helps them keep and maintain a healthy body and mind. It develops confidence, willpower, and strategic thinking at an early age. Joining a sport teaches them the value of honor, teamwork, and sportsmanship. Power Up has a really nice bouldering area with steep overhangs and a cave. 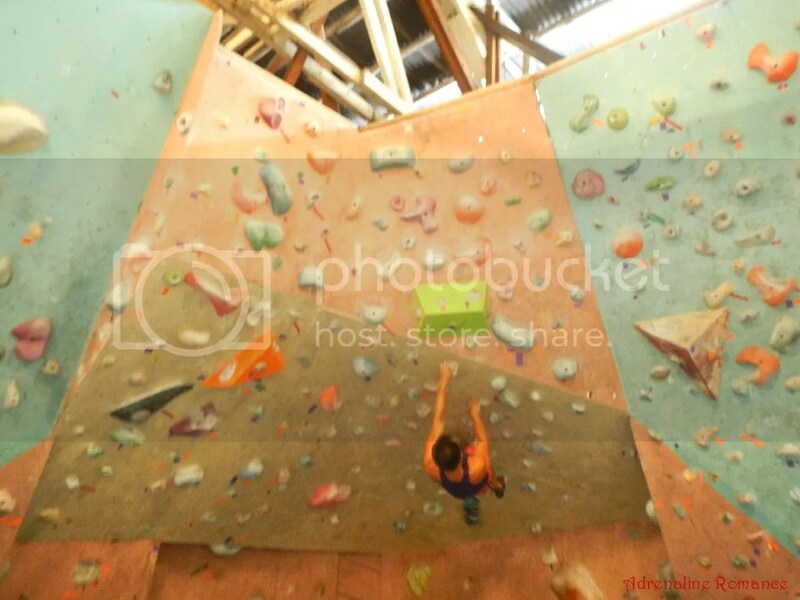 It occupies one quadrant of the facility, which means, that’s one big bouldering area! Bouldering is a type of rock climbing that involves climbing a boulder or wall without using safety equipment such as a rope or harness. The problems are usually less than 20 feet. To prevent injury, bouldering mats are used to soften a climber’s fall. Since we still had half an hour to spare, we warmed up on some of the problems. Go, Sweetie! 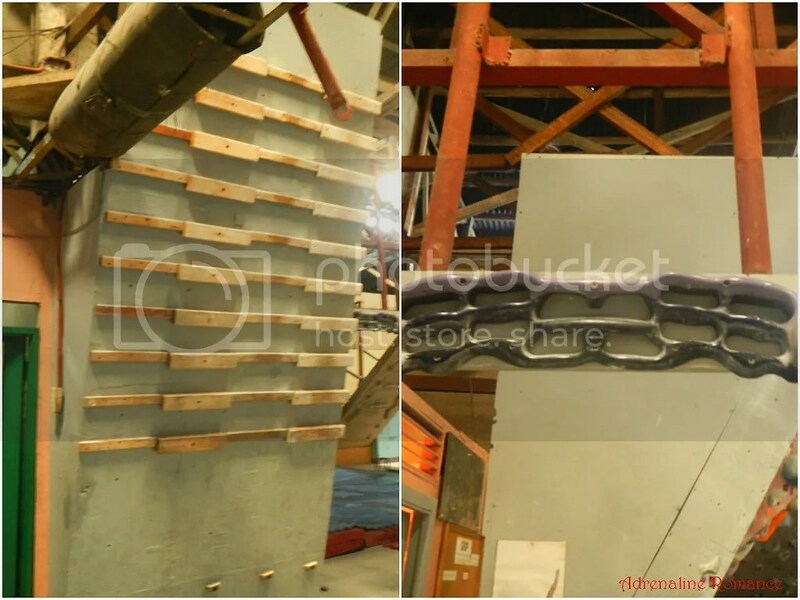 The photo below gives you an idea of how the bouldering wall is inclined. Sweetie enjoyed the warm up. 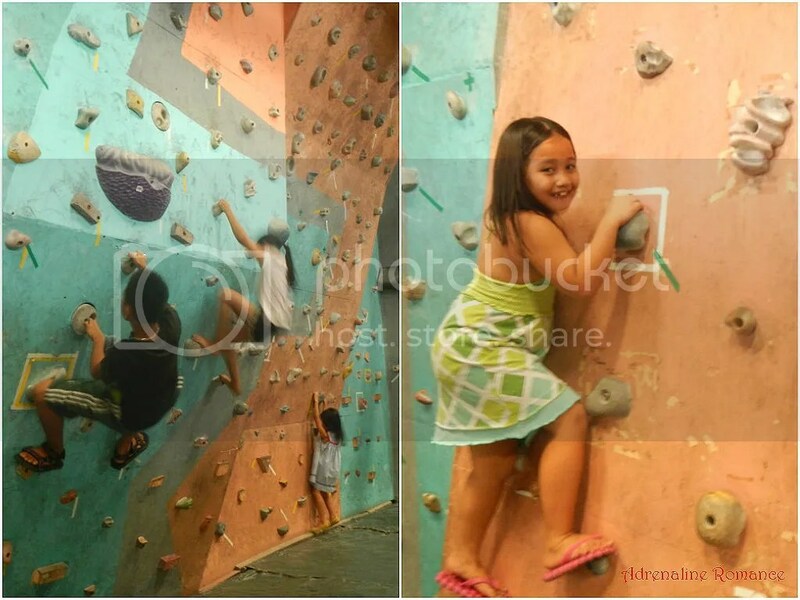 We do hope that our own climbing wall in Cebu will have its own bouldering section someday. While Sweetie rested, I tried out the cave section of the bouldering wall. It was still quite slippery since the children cleaned off the holds. Working on this steep roof is an excellent way to develop techniques in climbing steep overhangs and roofs. Seeing I had fun on this particular section of the bouldering wall, Sweetie got envious. Hehe! She stood from her seat and tried out the cave. 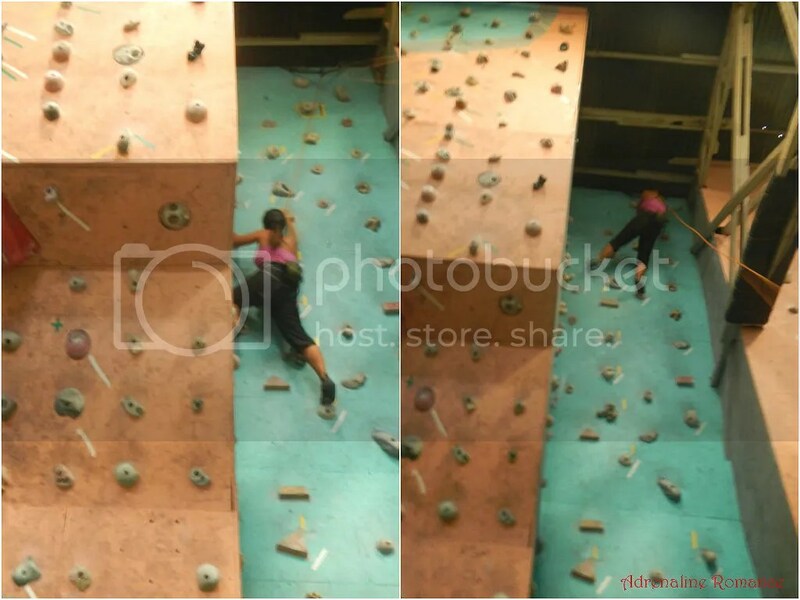 After we had our fill of bouldering, we stretched our muscles by traversing the walls of the main climbing area. I practiced a few moves that I’ve seen in YouTube and other online resources to develop more efficient climbing techniques that can save strength and energy. While traversing the walls, it was very evident that the walls were diligently maintained. Not one hold was loose or rotated in its axis. All holds were firmly affixed and comfortable to grip. The instructors and a few regular climbers started arriving around 2PM. 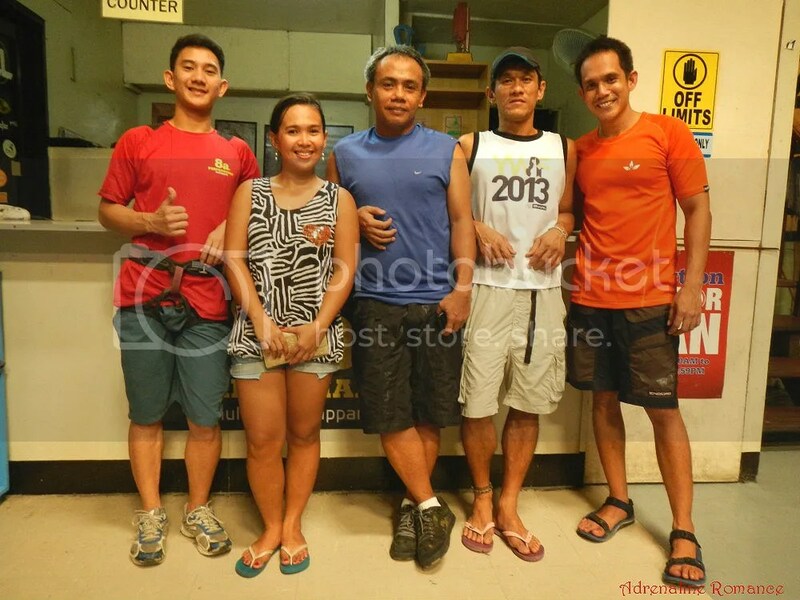 Most of the people in the Philippine climbing community are friendly, so you don’t have to be intimidated in approaching them. 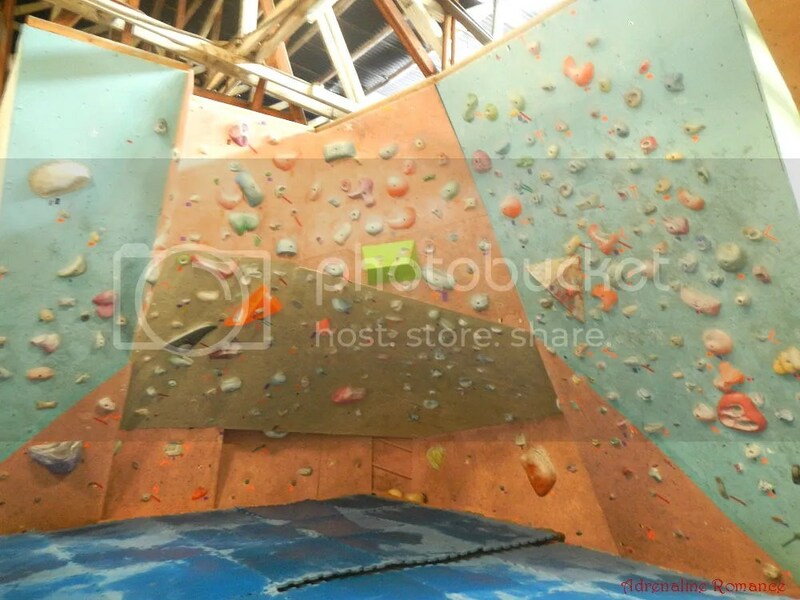 In fact, they warmly welcome anyone who shows interest in rock/wall climbing since the climbing community in the country is very small and tight-knit. Here’s a nice view of the gym’s walls. 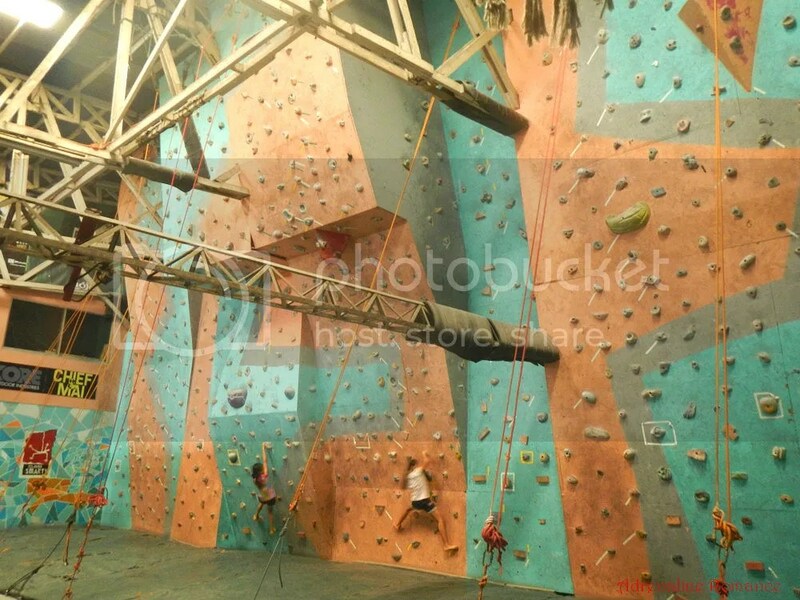 The entire climbing wall is divided into 8 top rope lines of varying grades. There is also a single 40-foot wall with a roof for lead climbing. Climbing time! It’s time to check out the walls. I warmed up on an easy, slightly inclined roof to loosen up my muscles. I totally enjoyed the climb. Sweetie warmed up on face-type of wall. As she climbed, I saw that her climbing technique has really improved a lot. After a short rest, I was ready to climb another wall. This time, however, I chose to follow a designated route. What do I mean? Well, do you notice the colored tapes under the holds? In attempting a certain route, I had to use only the handholds and footholds that are marked by a designated tape color, in this case, white. The climb is not legal if you grip or step on any handhold or foothold that is not designated with the white tape. It’s a lot harder than you think. After I successfully sent the route, Sweetie thought about trying the same challenge on another route. The hold with the white square is the designated starting handhold or foothold. 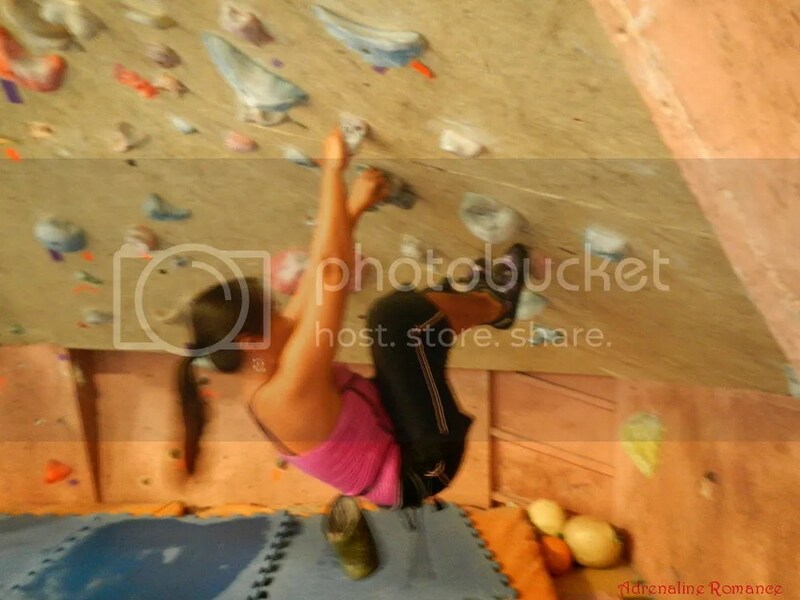 Check out the handholds and footholds she’s stepping on; all are designated with a white tape. Sweetie was able to successfully finish the route without takes (resting on the rope), but she said she had to pause a couple of times to scan the designated holds. Above Power Up’s office is a platform that serves as a rest area and storage space. It overlooks the main climbing area and is a perfect vantage point for taking photos. “Come on! You can do it! Just a little bit more!” Fellow climbers and friends use these words to encourage this lady to give it her all to get past through a roof. This is one reason why we love climbing. Everyone encourages, cheers, and prods everyone to do their best to accomplish a goal. That is why there’s always a positive atmosphere in a climbing area. Then it was my turn to climb a roof. Let’s see if we can do this without falling, taking, or resting. Heave ho! Grunt! Grunt! Yes, I made it. By constantly practicing in a climbing gym, a climber discovers and develops innovative techniques to overcome a seemingly insurmountable obstacle. Climbing constantly improves his strength and enhances his reasoning, strategy-development, and problem-solving skills. It helps you regain your self-confidence and self-esteem. In other words, climbing helps make you a better person. We wanted to stay for a few more hours, but we had to catch a ride back to Roxas Boulevard so we can see the famous Musical Fountain Show in Manila Ocean Park. Thus, feeling a little bit sad after climbing for only an hour and a half, we did a final cool-down climb. Check the photo below; it clearly shows the degree of steepness and the roof of a couple of routes. Now, you may say, “I can’t climb that! That’s too steep!” Believe us, you can! Yes, you may need a bit of coaching and strength training, but it’s the willpower and the belief that you can do it that can make you succeed. 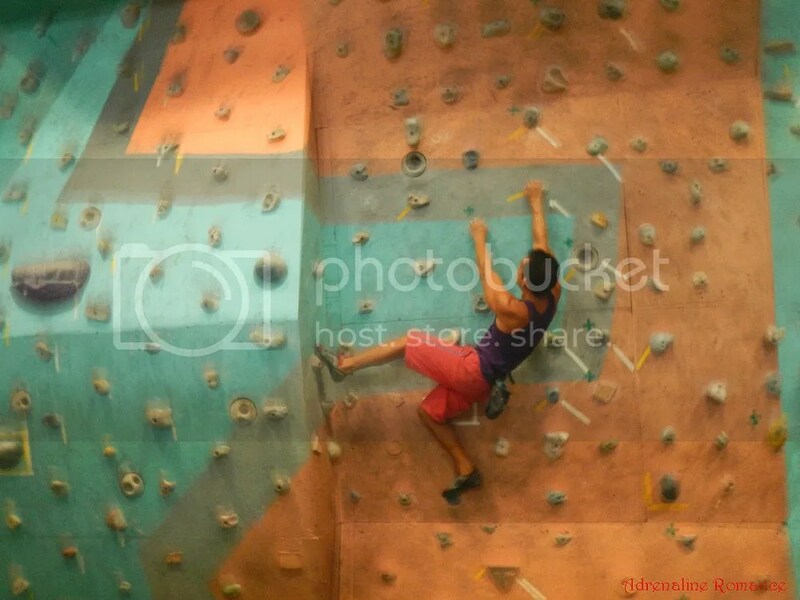 Thank you Tom Sales, our assigned belayer Allan Cruz, new climbing friends, and the rest of the staff of Power Up Tandang Sora for letting us climb your walls. We are definitely honored to visit the birthplace of the Filipino luminaries of rock/wall climbing. We will surely be back for more climbing fun; you can count on that. 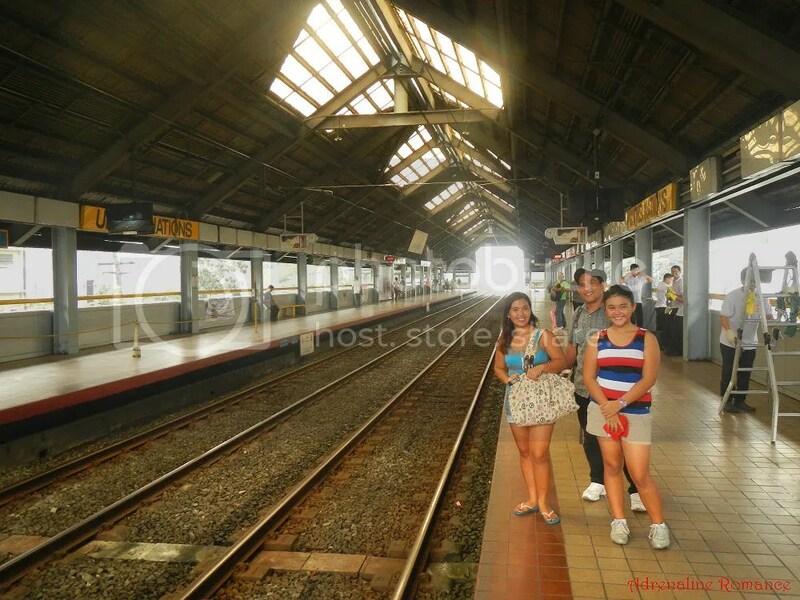 Option 1: Take the LRT and disembark at the Baclaran Market. Walk through the market until you reach the Balaran Terminal. From there, take a bus going to Quezon City. Disembark at Commonwealth Avenue corner Tandang Sora. Option 2: Take a bus to Fairview from the MRT Cubao Station (Farmer’s Plaza) or from Edsa corner Quirino Avenue. Disembark at Commowealth Avenue corner Tandang Sora. Your landmarks are the KFC outlet and the pedestrian overpass there. Walk around 50 meters to the first street corner, which leads uphill. You will see the Power Up Gym sign just outside the climbing center. 6. If you have your own climbing partner with you, ask the staff if you can waive the belayer service. When we got there, we were told that getting THEIR belayer is mandatory despite explaining to them that Sweetie and I are climbing partners and we’ve been climbing for years. 7. You can step outside for refreshments. There are bakeries, sari-sari stores, restaurants, and other establishments outside the gym. 8. Don’t get intimidated by the climbers there. All of them are really friendly once you get to know them. Remember that no matter how strong and skillful they are, they have also started somewhere. We weren’t able to notice any grading level too. We suggest you get in touch with Power Up Tandang Sora branch (contact details are in the Tips section of the blog post) and ask the grades. Great article and info.I’m going tomorrow to do some bouldering.Hope to see you in El Nido Palawan for some deep water soloing .. Thank you so much for visiting our blog. 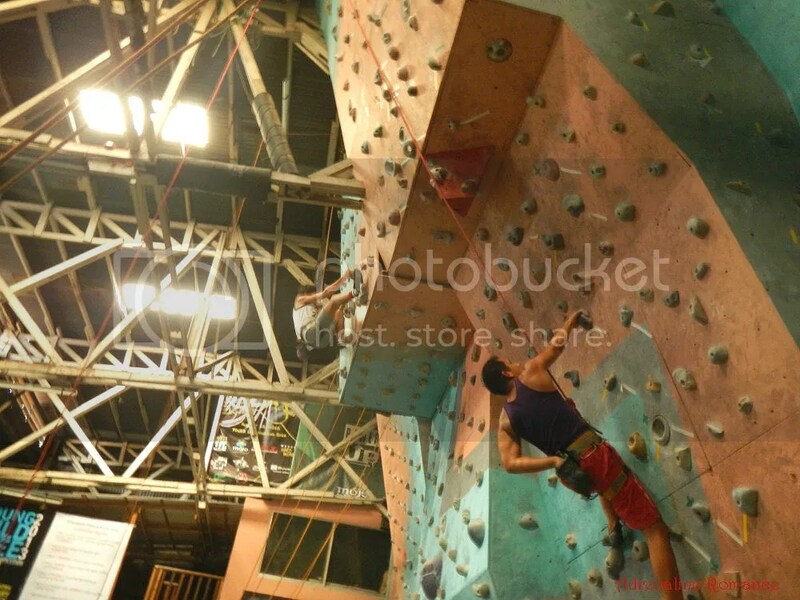 Power Up Tandang Sora is definitely humble paradise for climbers like us. We’ve been to El Nido, but we haven’t had the opportunity to experience DWS. Hopefully, we’ll have that chance on our next visit. Hopefully, too, our paths will cross. Regarding your question, before climbing a real crag, you might want to try out a session or two in a climbing gym. 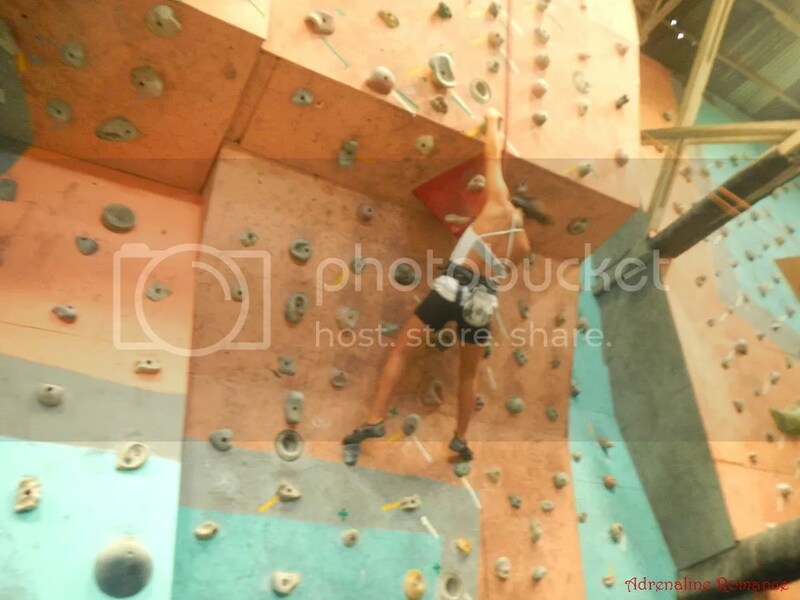 Now, relating from personal experience, indoor wall climbing and outdoor rock climbing are two different experiences; but climbing indoors will give you a bit of a “feel” of what rock climbing is like. 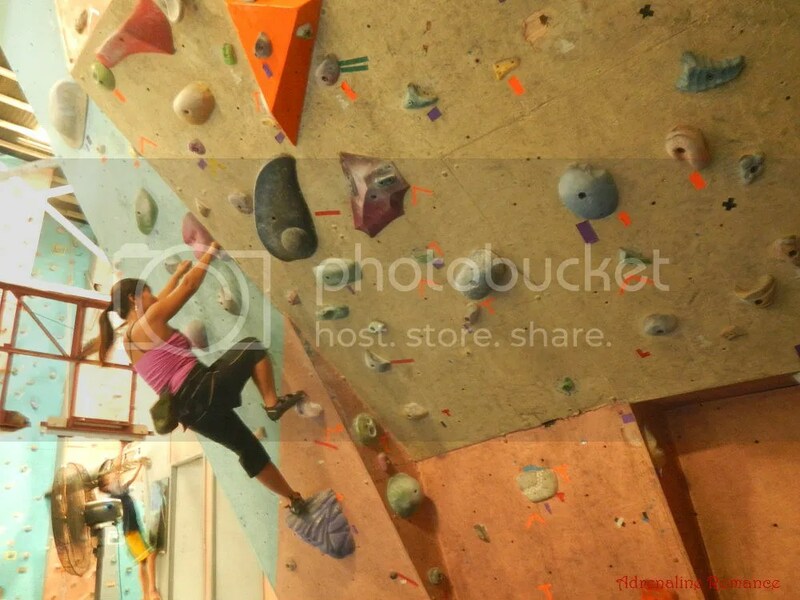 Climbing in a gym also offers you an opportunity to learn basic skills, techniques, and safety measures you need to enjoy the sport. A few sessions in the gym and you’re ready for the outdoors! for our studies lang po tnx. No, we don’t construct indoor walls. However, you can ask Power Up Tandang Sora for assistance if you wish to have a climbing wall constructed in your place. Their contact details are in the Tips section of this post. Hello. 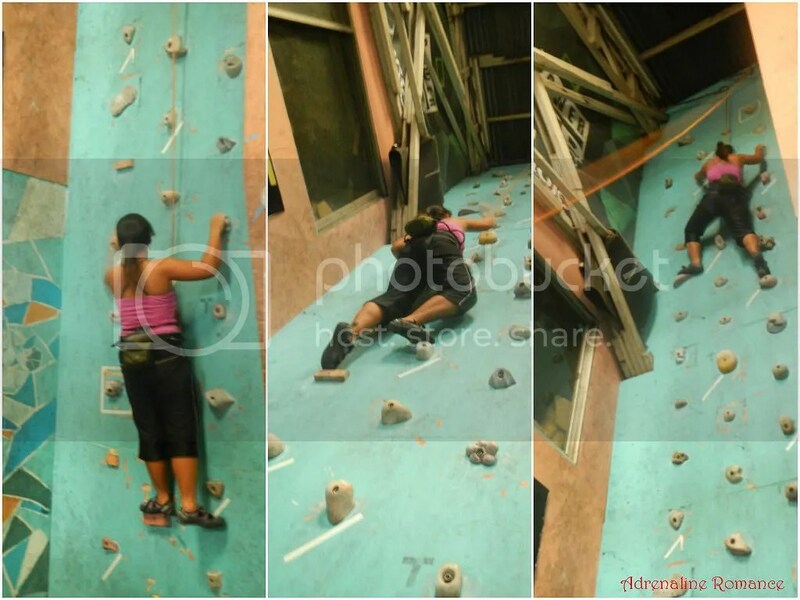 May lead climbing ba sa tandang sora? pansin ko kasi sa pics mga top rope lang. 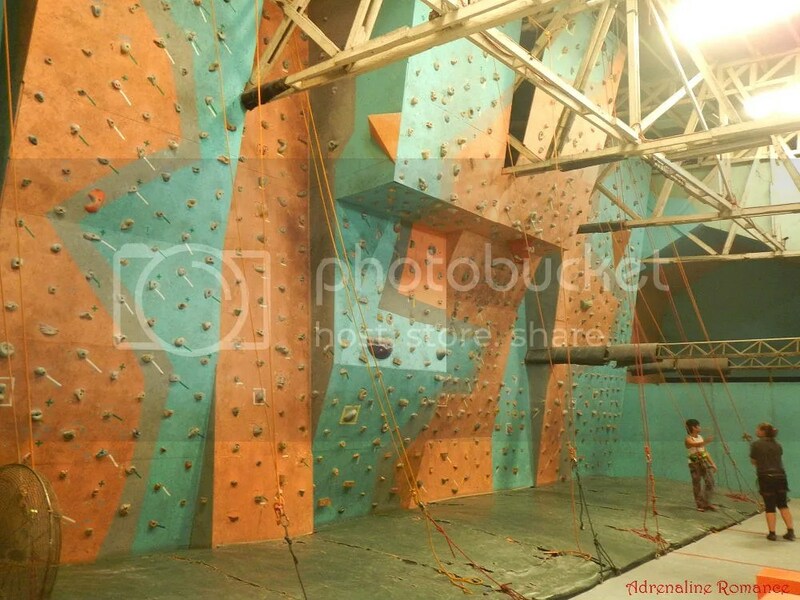 Kung wala po, may maisa-suggest po ba kayong gym sa metro manila na may lead climbing wall? As far as we remember, yes, they have a wall that is dedicated to lead climbing. But it would be better if you can contact them; their contact details are in the post. They could also point you to their other branches that have lead climbing walls. Thank you very much the compliment. Regarding your issue with Power Up, we think it’s best if you could raise your complaint directly with them. By doing so, you’ll help raise the standards of wall climbing in the Philippines. Hi Delde, thanks for this feedback. 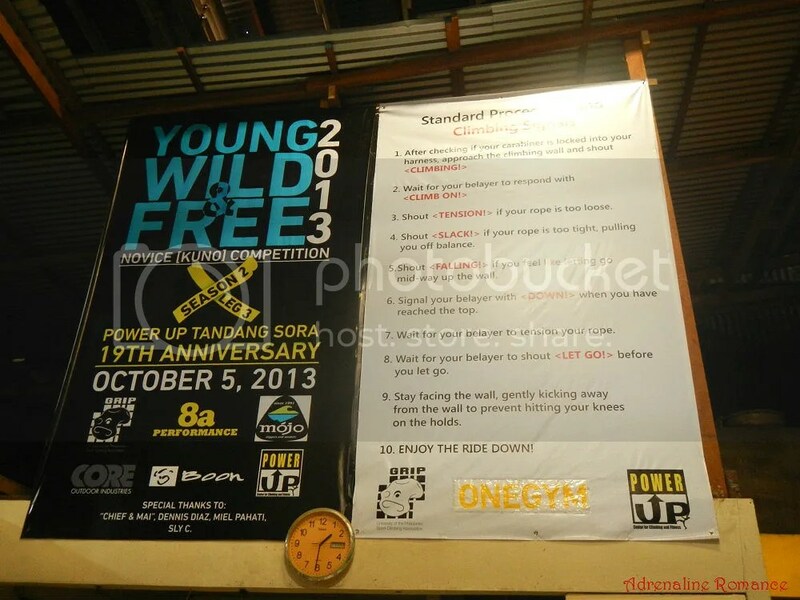 Actually, Power Up in Diliman has been trying to cater more to start up climbers… non climbers who want to try out climbing. Our priority has been the 5.5 to 5.8 routes, hoping to push the non climbers to start doing routes. 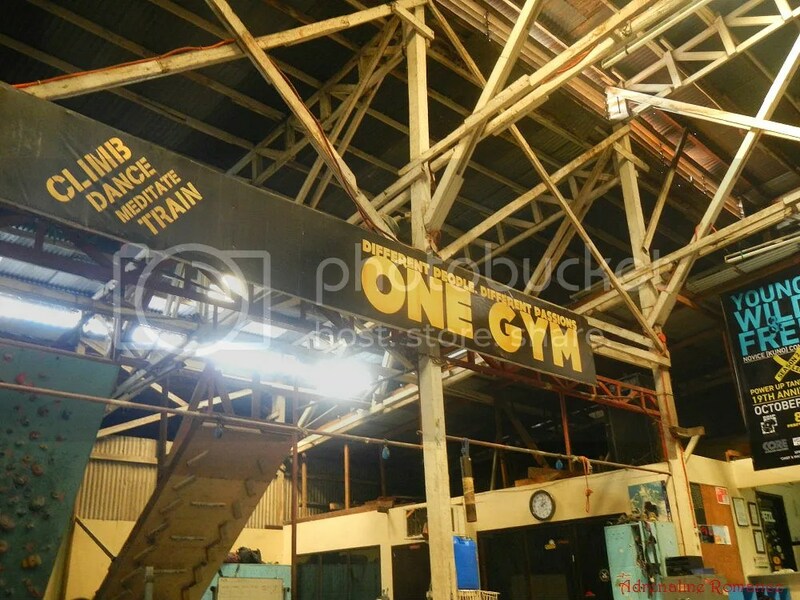 Indoor climbing in the Philippines started in this gym, and has thus seen the macro cycle of the industry, along with its decline in 2002. When the 2nd cycle of popularity came in 2011, it was the Diliman branch that was the hardest to resurrect, due to its poor location. After all, it was conceptualized as an industry starter, not an industry driver. Due to this, until today, the Diliman branch works hard to try and build a climbing community from its immediate neighbors, recognizing the difficulty to draw clients from more than 5km away, and the fact that this is not near any mall or multi function facility. You, who as you mentioned, live near here, are most welcome to join this small community in the Diliman area. True we have not revived our lead wall, but in time we will, since our lead wall has a 20 foot roof. It is not in line with our immediate need developing new climbers. 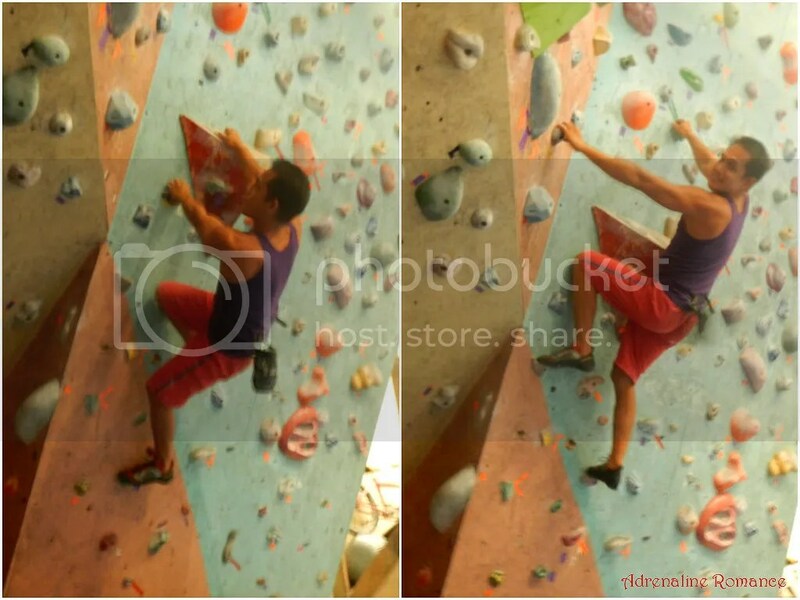 The boulder wall does not have marked routes because the boulder problems come spontaneously with the sessions. 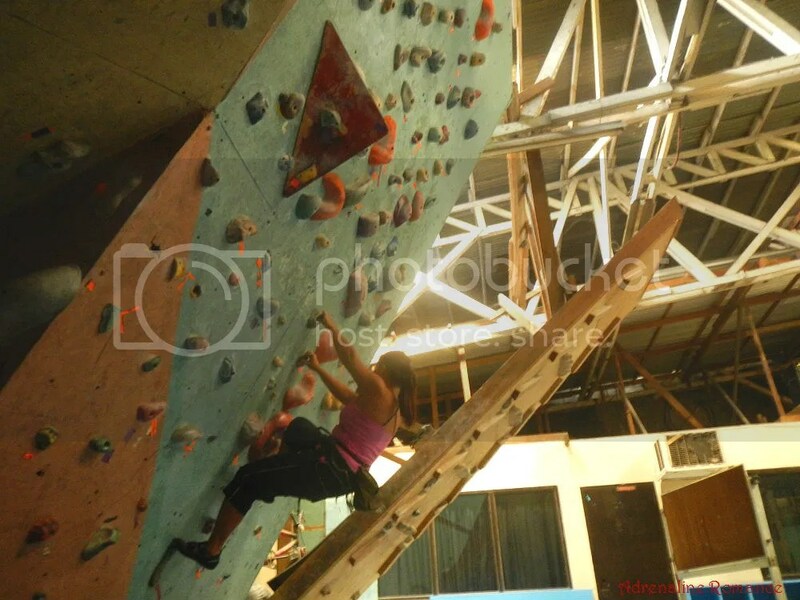 We invite boulderers to come 5 to 8pm weekdays as this is when the sessions are best. As for the price, we just have to get by with the rising rent in a continuously commercializing location. Hope this answers your queries. At the least, you can voice these out directly to the instructors or counter staff. The gym works like a boulder session. Everyone has a role and a voice here, to create better problems, better service, better climbing. 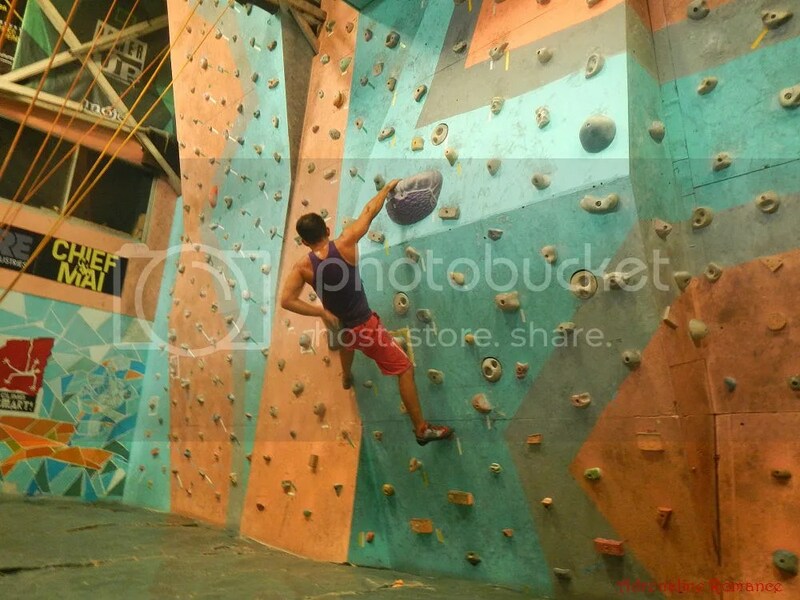 Power Up in Cubao is more rigid and caters to the growing and developing climber. 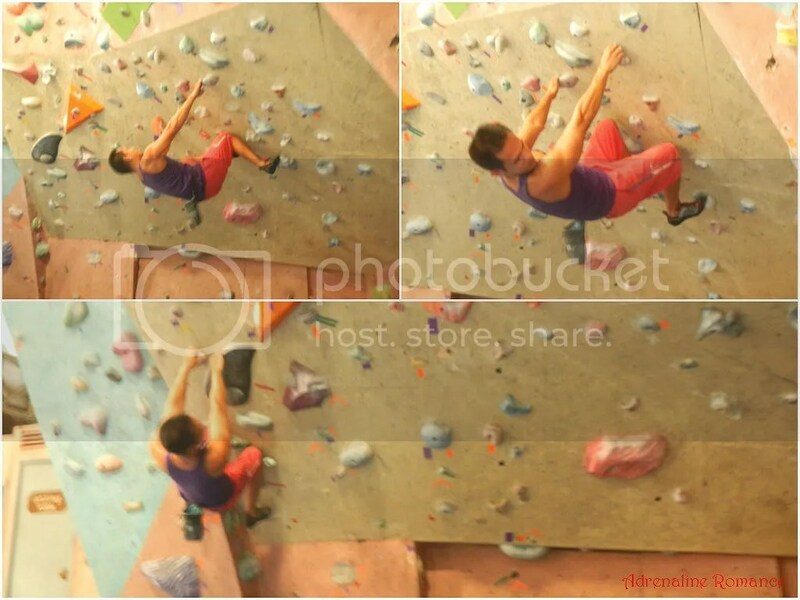 More technical routes, 5.6 all the way to 5.12. Here you may find your comfort level if the Diliman branch seems a little off for you. Thank you for the thorough explanation, Joey. We’re definitely visiting you and your other branches when we visit Manila. Marami pong salamat sa reply! Ngayon naiintindihan ko po kung bakit ganun ang facilities sa Power Up TS. Tama nga po kayo na hindi madaling makakuha ng cliente sa location sa TS. 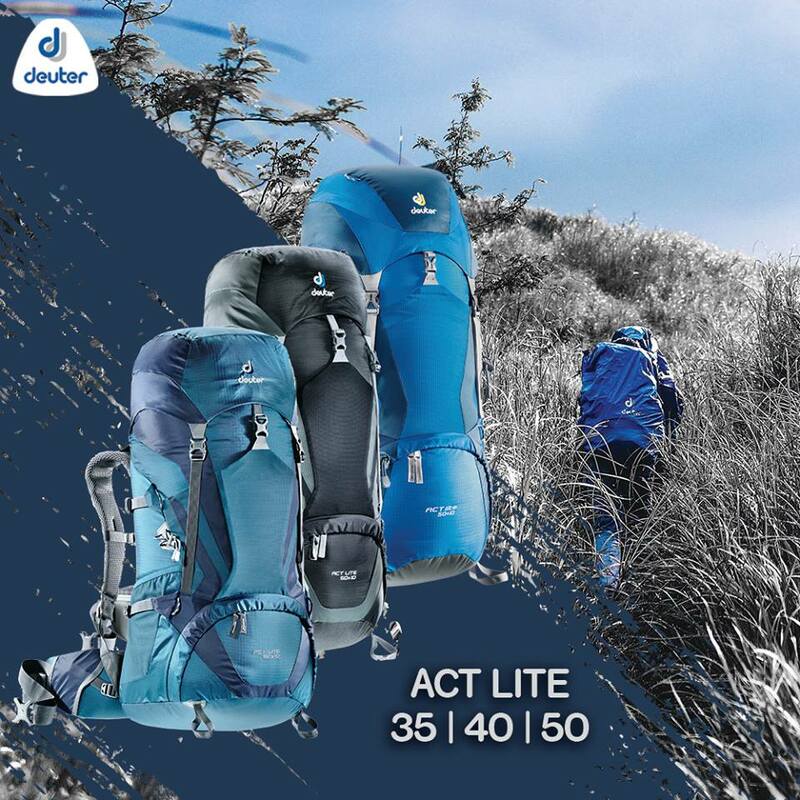 Lalo pat yung mga cliente na yun eh gusto lang magtry mag climb. Hindi ko lang naman gusto itry mag climb, gusto ko magclimb. 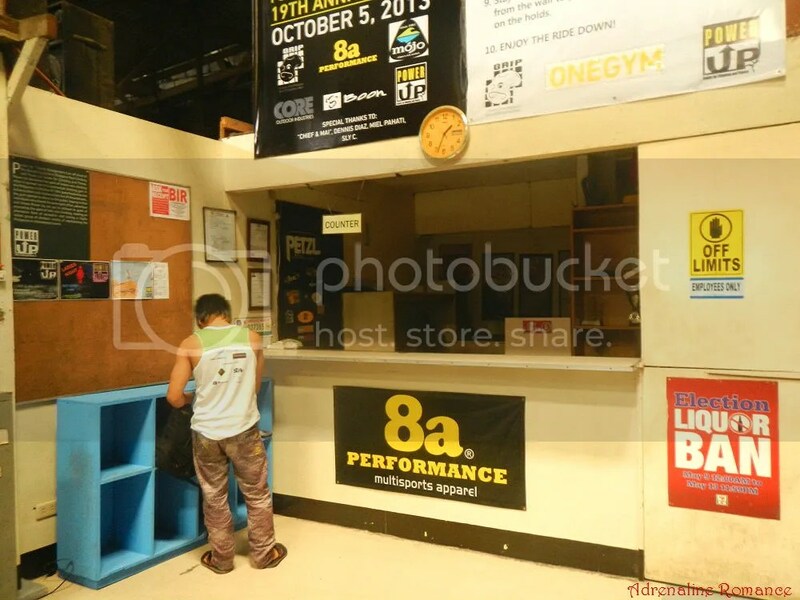 Pero bago ko gawin yun gusto ko muna makita kung matutuwa ba ako sa pagclimb sa gym na ‘to. 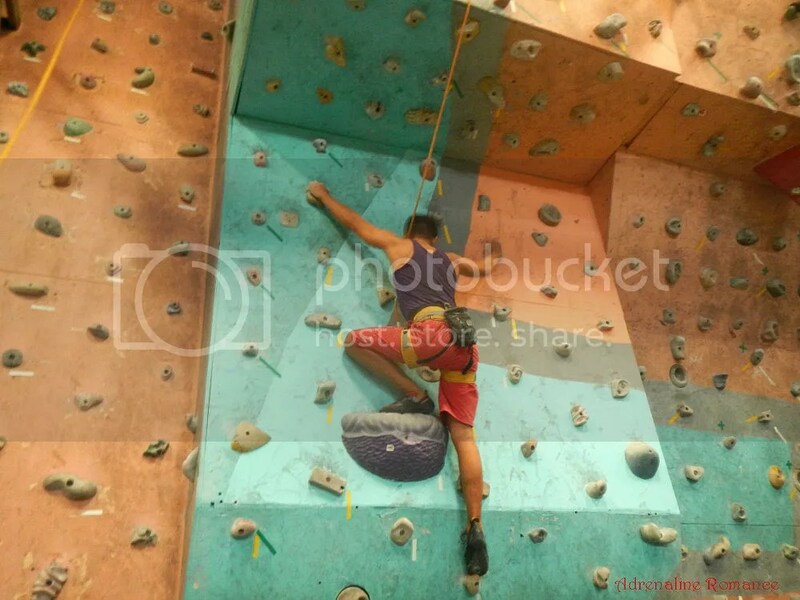 at sa mga susunod na gagawin kong session ma-eengganyo pa ba ako mag climb ulit sa gym na ‘to. Gusto ko talaga mag climb outdoors, pero kailangan practice safe muna sa indoor gym. Salamat joey. 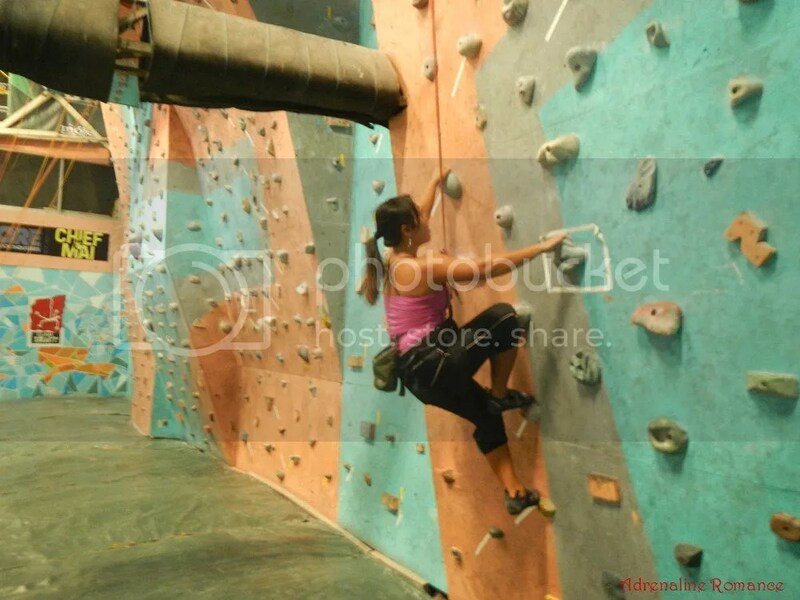 At isa po pala na gusto ko sabihin, sana maging newbie friendly ang bouldering wall sa TS. 🙂 Balita ko kasi sa mga hapon, marami ng nagprapractice sa bouldering wall, yung mga magagaling na talaga at may mga idea na kung ano ung mga grades. 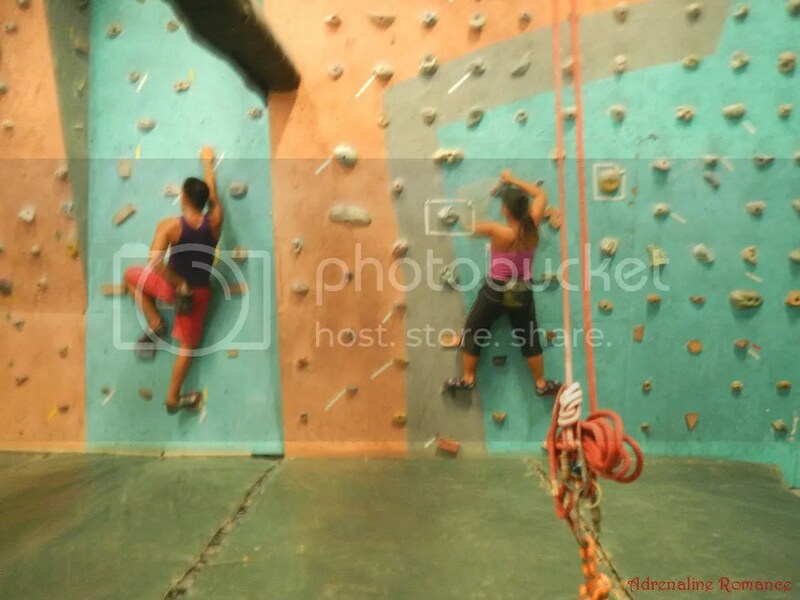 Kaso baka kasi kapag nag climb na ako sa wall like maaga, wala akong idea sa mga grade kung ano ikla climb ko para sa newbie. 🙂 Salamat. Very very nakakabwisit talaga kapag ‘yung kulay na inaakyat ko nawawala yung mga holds dahil kinukuha ng mga nagbo-bouldering!!!! panira ng climb talaga eh!!! imbis na lalong akong mamotivate na magclimb eh lalo akong nawawalan ng gana!!!!! 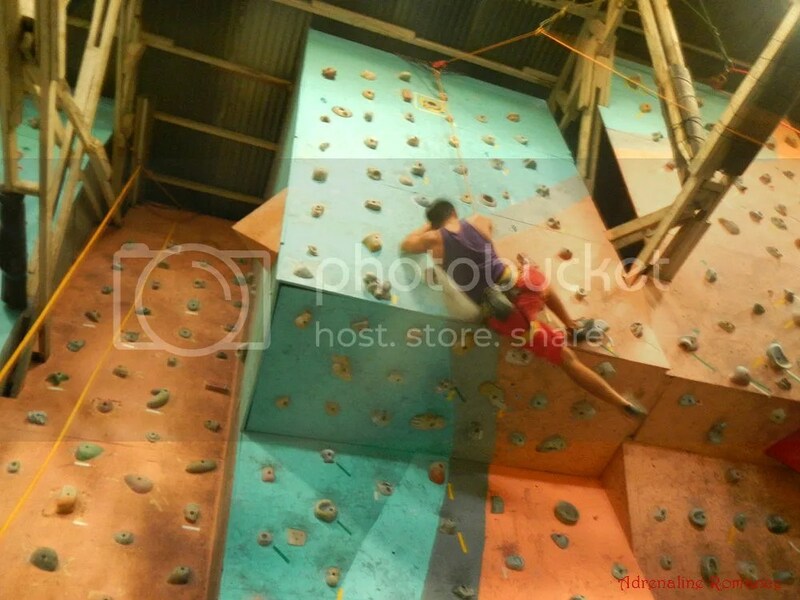 Hi po gusto ko mag try mag wall climbing. Nung bata po ako nag try na po ako, pero now that I’m an adult over weight po ako tingin niyo po kaya po? hindi po kaya nakakhiya? Don’t worry, you can do it. The coaches in Power Up Tandang Sora will help set you up and show you techniques in climbing efficiently. Hi are you open on sunday??? Please get in touch with Power Up Tandang Sora; their contact details is in the blog. Most probably, they’re open on Sunday.